I love matching PJs. I spent my college years walking around the dorm in matching “Chicks Rule” PJs (and slippers!) I’d found at Target. 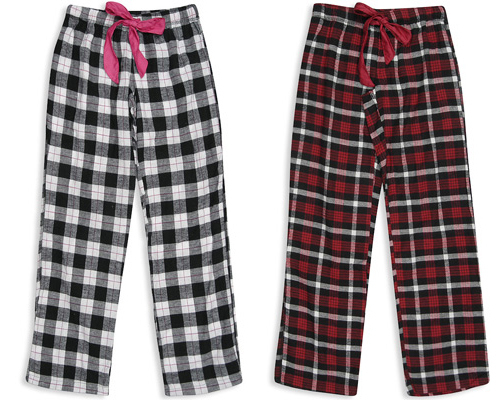 So today when I walked into Forever 21 and saw these flannel PJ pants on “Weekly Special” for only $6, I perked up! I can always do with more pjs, after all I spend the majority of my time in them. Of course, I then started to look for the matching top. These illustrated tees were placed next to the PJ pants, so I assumed that they were a pair and thought it was a really cool match (although now that I examine how they’re arranged on their website… maybe not. Does one wear rhinestones to bed?). 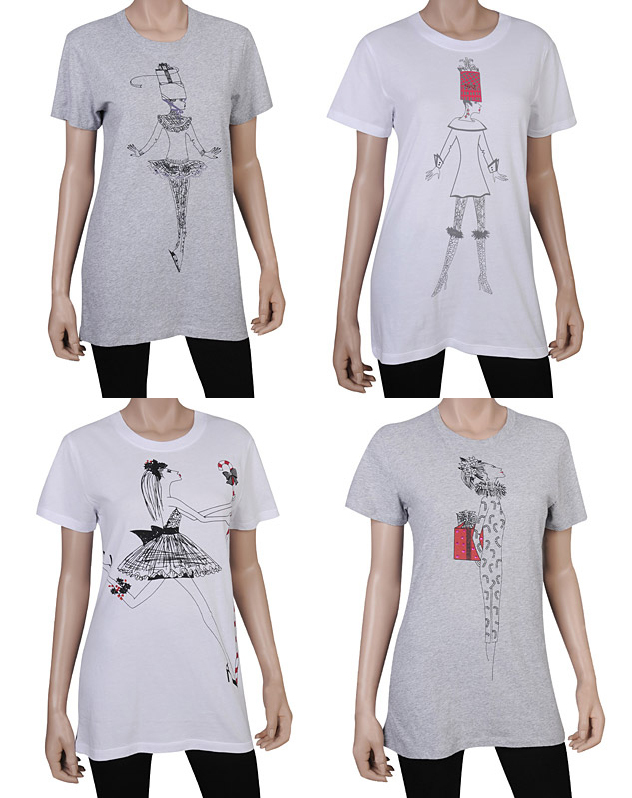 The tees are artistic rather than tacky and their loose cutting looks infinetely comfortable. What’s more? They only cost $5! I was sold and walked out the door with black plaid flannels and the grey ice skater tee (I thought it was a ballerina at first, and I loved the purple accents). I am loving the tees and may have to get more. They’d make excellent small Christmas presents- though I think they’re limiting it to two prints per customer.